And so, for Independent Record Shop Day, here is my own first Top Ten. I happily trolled down to WH Smith for what were only 7" singles because, of course, an album didn't even figure in my pre-teen brain. I was always slightly disappointed when I didn't get the picture sleeve version and only realised years later that WH Smith was the one shop you were guaranteed to get the boring sleeve. I played these records on permanent rotation which is why they're etched into my brain. 1. New Musik - Living By Numbers Listen out for the Lorraine Chase-alike "They don't want your naaaaame" at 2.50. 6. Blondie - Rapture Clicky here for the proper video. 8. Adam and the Ants - Young Parisians Do you see the start of a trend here? And this was a re-issue on the back of Antmusic. 10. The Human League - Don't You Want Me And so began the longest love affair... This is my favourite clip of their telly appearences, Christmas Top of the Pops 1981. Watch out for the silly string nearly choking Joanne at 3.00. Can you believe I've not heard, or even heard OF those first three records? I know OF The Buggles of course but only THAT song. I'm going to listen to these right now. Ooh I LOVE new stuff don't you, even if it's old! Looking at it... Peter Gabriel? At 10 years old? hehe. And Greg, the first 3 are 3 of my favourite EVER songs! Hey there! I love reading about other people and the beginnings of their music obsessions. 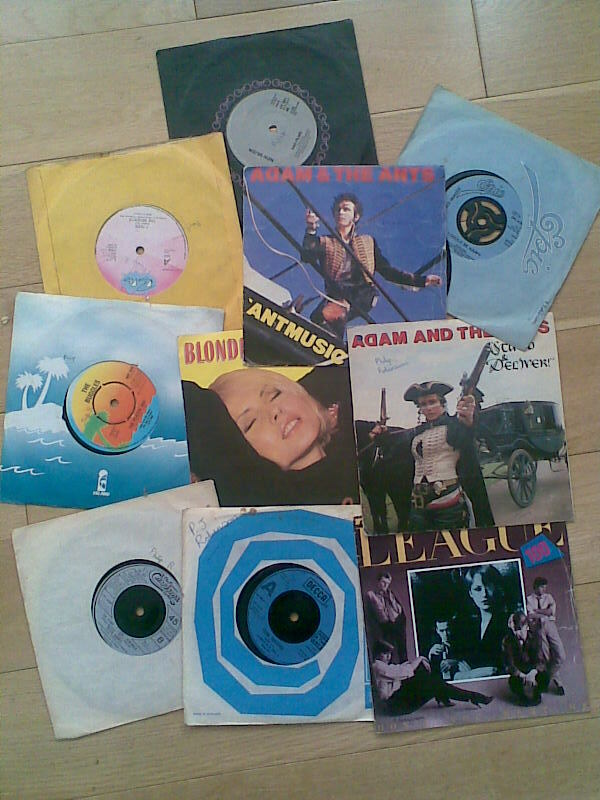 I have nearly every one of the singles you mentioned except the one from The Buggles. BTW, I added you to my blog line-up over on my blog. Holestar's single, NyLon Woman OUT NOW!!! Parralox: isn't it strangely fabulosa?